Way back in July I agreed to do a review for A Mother’s Boutique, on a nursing top. Smunchie was still at the breast frequently and I was certain I’d get plenty of mileage out of a nursing top even at 20 months. 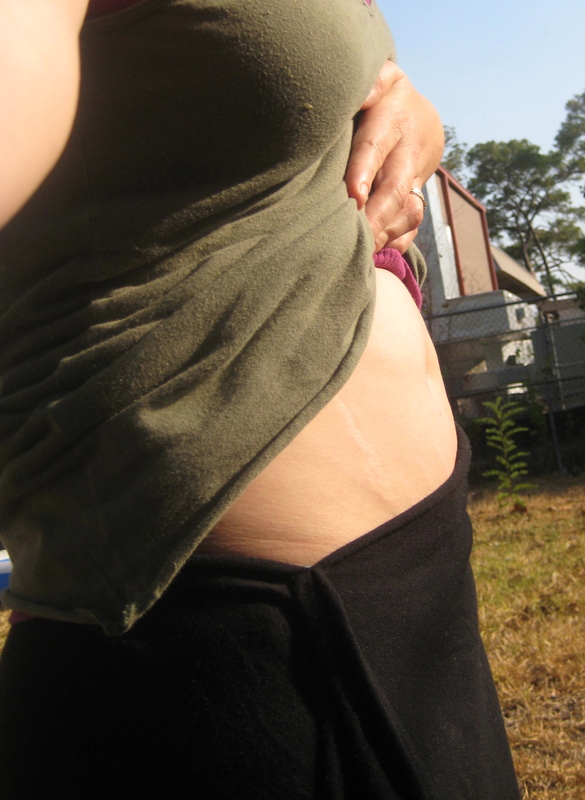 What I didn’t count on was getting pregnant that next cycle and sick before I even peed on a stick. Enter not wearing much of anything but pajamas for the next 6 months and a gradual decline in interest in breastfeeding by Smunchie. My most common fashion accessory became an IV line and when not one but two tops arrived from Judy, the most I could tell you about them was “you can access my port easily enough.” Figured you smart ladies wouldn’t find that so helpful. I must have looked hot in real life. The Piano Man was playing piano when I walked into the intimate setting for the show and he got a little, um, distracted, when he saw me. After 5 months of feeling and looking like death it felt really nice to distract my husband. Through the dinner, the performance, the fundraising talk, and the post-show excitement I was comfortable in the top. My nursling wasn’t with me so I didn’t get to give the breastfeeding function of the top into use but the top was already a favorite just in comfort and style alone. 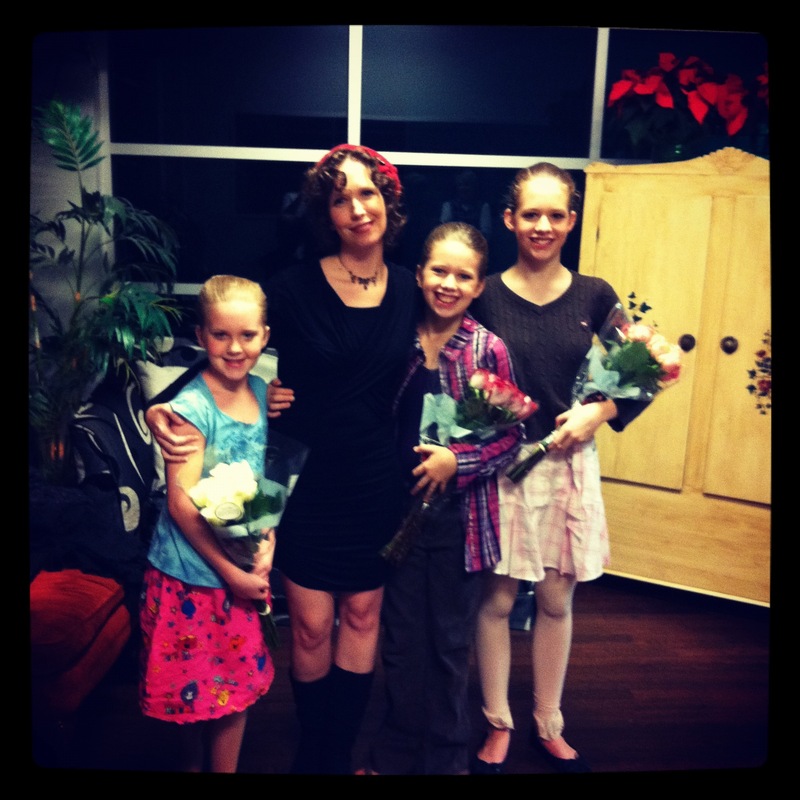 Blurry pic but the only one I have of me and my ballerinas from The Nutcracker. 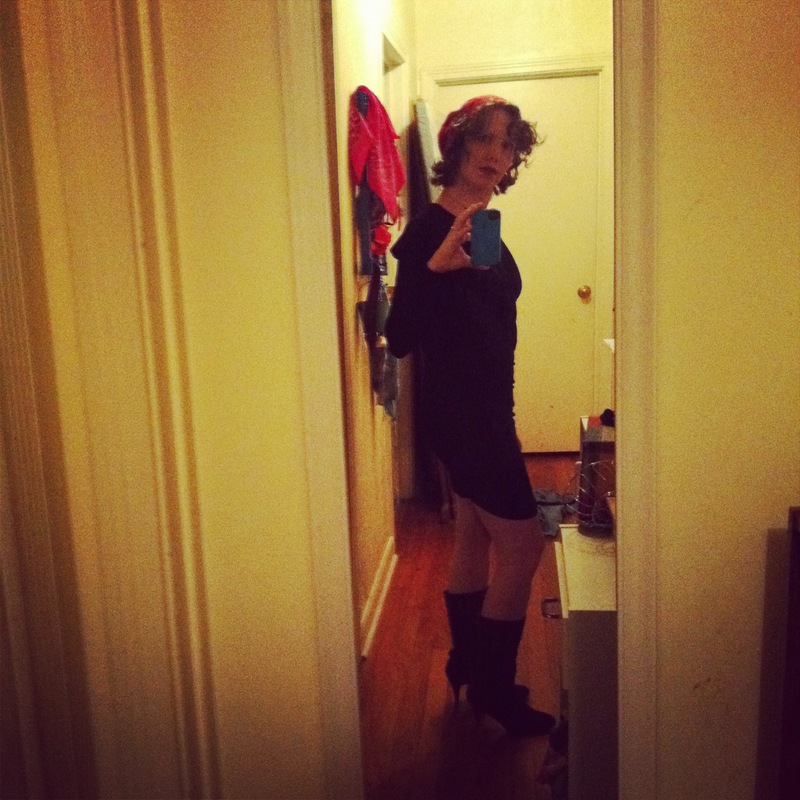 Since that evening I’ve worn both the shawl collar top and the front rouche top several times and not just on my couch. Both have held up well to washing, line drying, machine drying, and the inevitable spills. They still look and feel like new. Soft, comfortable, and beautiful, they are both tops I reach for when I need to be really comfortable and look put together. I packed both these tops for a month long training with my job where I had long days and couldn’t exactly go around in my pajamas all day. The rich purple of the front rouche top hasn’t faded a bit even with line drying and to my amazement the top gladly released the tiny bit of white acrylic paint I accidentally got smack dab in the middle of my Sugarbaby bump and though I’ve dropped all kinds of food on it (baby bellies make the perfect crumb ledge) there are no stains. 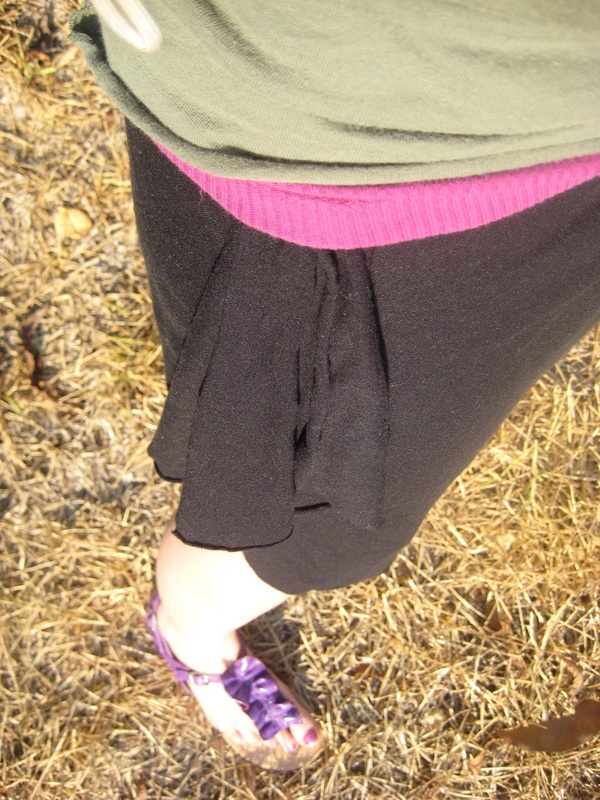 The Front Rouche Bamboo Top- The Good, The Bad, and The Ugly. Because I swear to tell the whole truth and nothing but the truth. Dreamy soft and with a perfect amount of stretch so it returns to it’s shape well. The front rouching is perfect for a post-baby belly and even way beyond, I can see wearing this long after pregnancy and weaning are over. Easy to dress up (I like it with a simple black skirt) and just as comfortable more casual. 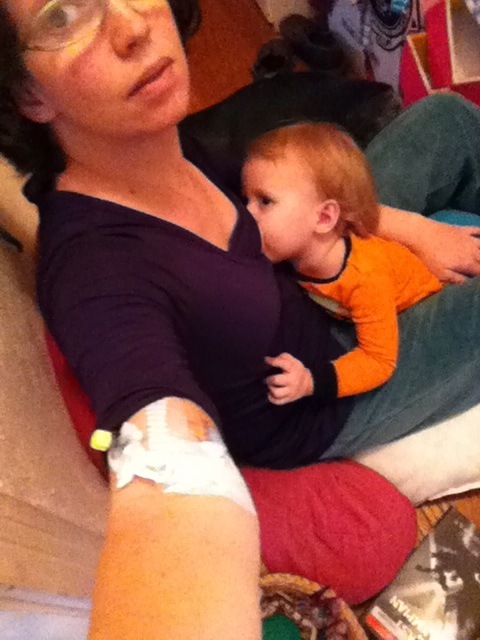 The access for breastfeeding is simple to use and can be done one handed even with undoing a nursing bra. I don’t have anything bad to say about the top, it’s so versatile and comfortable. 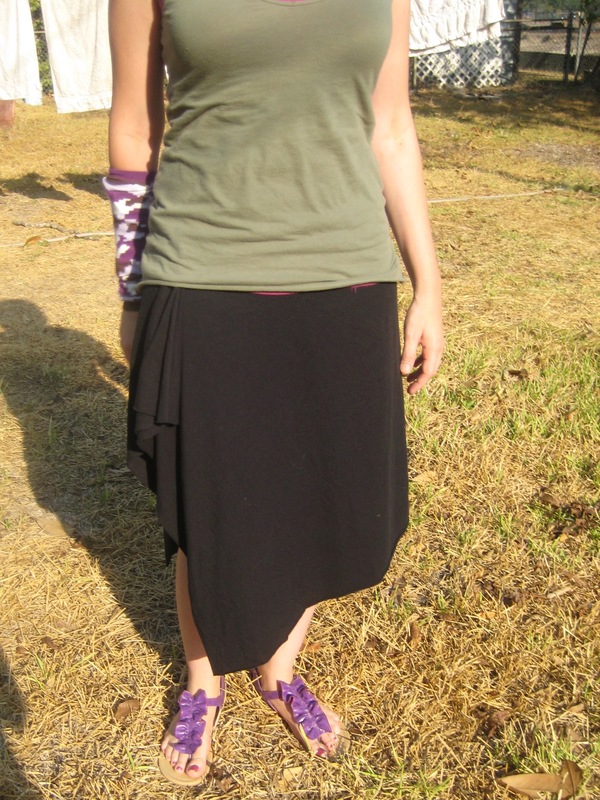 Living in Houston often fabrics that would be comfortable elsewhere are too hot here but the bamboo rayon breathes well and I have been fine in 80+ degree weather in the the 3/4 length sleeve top and was just as comfortable wearing it in Illinois in the middle of January. This will be an all seasons top for me, particularly since Houston has a thing for over air conditioning everything in the middle of the summer. The ugly for me is the price. I’m admittedly a make my own or thrift store/bargain kind of girl so the $89 seems really steep for me. However, I recognize that not everyone has the fear of spending money that I do and more and more lately I’ve been seeing my wardrobe as more expensive than I realize because things don’t last all that long and I have to replace pieces, meaning I spend more than I think. Now I haven’t had or used/abused the top long enough to say for sure (though a good amount of time already and it looks amazing), but it seems like this top will hold up well and for a long time. 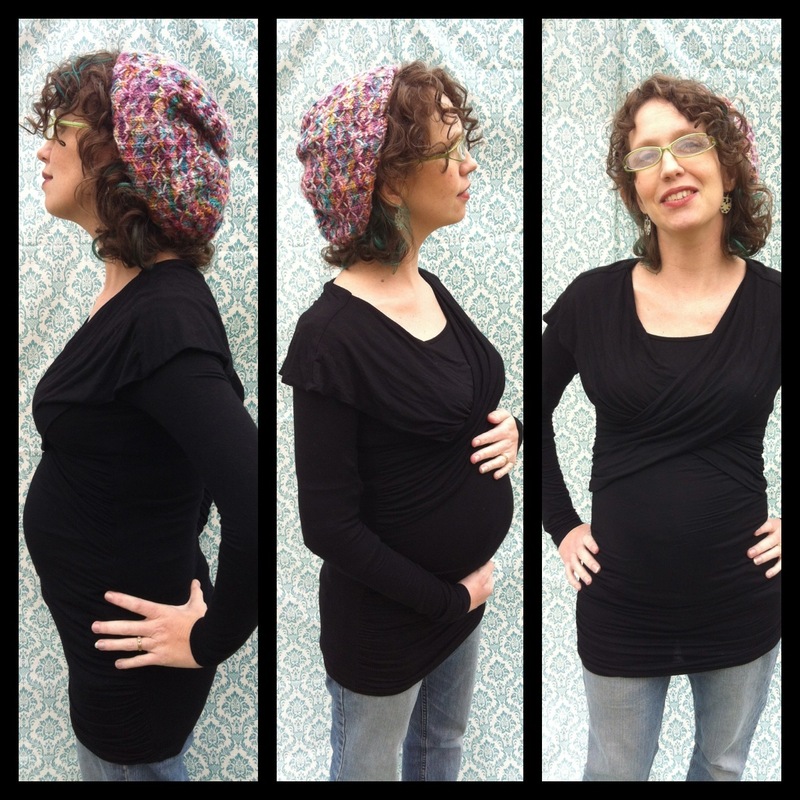 If that’s the case, then for a specialty top (maternity AND breastfeeding top) that can be worn all year long and features style versatility, it’s a worthwhile investment. If, let’s say, you get the top mid pregnancy and continue to wear it for the next 2 years while breastfeeding (hopefully longer) the top averages out to $3/month. If you keep the top as a permanent stylish option in your wardrobe it’s even less. As a specialty item that can extend far beyond it’s specially this is completely worth the upfront cost for the long term investment. 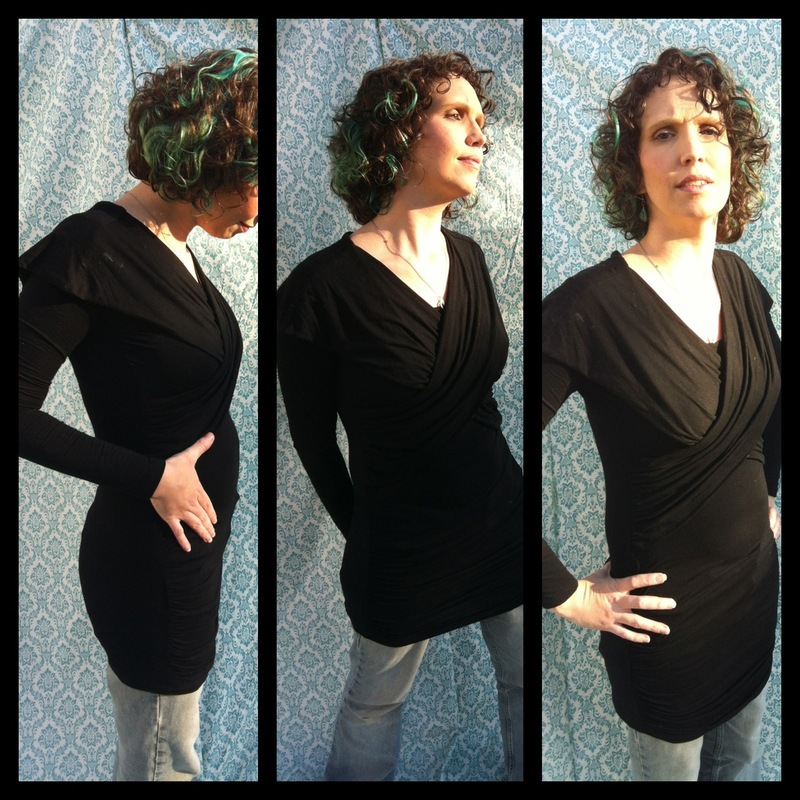 The Shawl Tunic/mini dress- The Good, The Bad, and The Ugly. Because I swear to tell the whole truth and nothing but the truth. Not quite as soft as the bamboo top (something I wouldn’t have noticed if I didn’t have the two to compare so it doesn’t really matter), the Shawl Collar Top has a beautiful silhouette that looks great with or without a baby bump. The wrap detail of the shawl collar give it more style than a simple stretchy tunic top or dress without overpowering the classic lines and it looks great as a mini dress, or a tunic top over leggings, jeans, or long pants. Combining both comfort and style, the stretch and drape of the cut and fabric makes it easy to dress up or down and you never have to sacrifice feeling good for looking good. 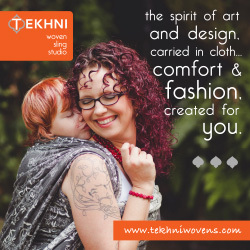 Breastfeeding access is easy, the shawl panels providing coverage if you want it and again, I was able to get my breast out one handed even with a squirmy toddler impatient for her “bobbies.” I have long arms and am often frustrated with the length of my long sleeves. This top actually had long enough sleeves for me arms but with the stretch in the fabric I don’t think the sleeves would be too long for those with more normal length arms. This top is the perfect go-to, able to be the little black dress (or other color) staple for your closet. Whether with grandma’s garnets or blue jeans, I get compliments whenever I wear it out. 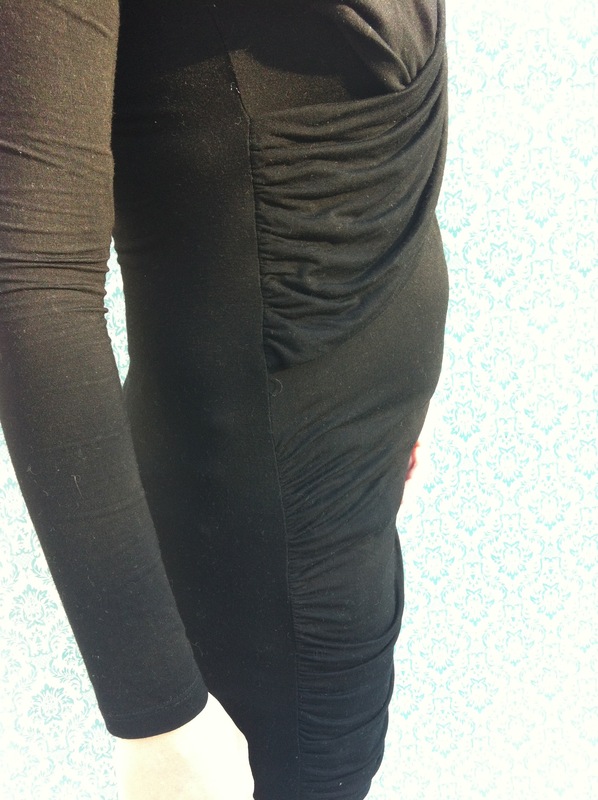 With just enough gathering on the sides, it will be comfortable and forgiving at any stage of pregnancy and postpartum. It goes back to it’s shape well and I know I will be wearing this top frequently when I have a new nursling going with me to events and have lost the baby bump. The bad was minimal, the shawl collar doesn’t always lay smooth over the breasts, particularly after sitting with a baby bump but a little adjustment and smoothing was all that was required to unruffled the look. The ugly is the same, a costly upfront investment but I have actually paid around $79 for a little black dress option and that one doesn’t work for maternity or breastfeeding like this one does and there’s no way it could be paired with blue jeans. For many people $79 wouldn’t be much to drop but for our family budget it’s high so I’d have to make sure I’d be able to get my money’s worth in a top like this. Thanks to the versatility, the fact that it’s a great non-maternity/non-breastfeeding option as well as being functional during those times, and it’s comfort, I would consider that a $79 well spent if I could bring myself to get over the initial sticker shock. I’ve been wearing it regularly for the last 3 months and occasionally a couple of months before that and it looks brand new still. Regular wash and wear, it has taken me from an evening out to a day in blue jeans with ease. So assuming I can wear it through the entire pregnancy and for 2 years breastfeeding (likely more) it would average out to $2.55 per month, going down if I continued wearing it long after pregnancy and weaning. As both a dress and a tunic top it has a long life. Last, but not least, I would wear it primarily during colder months, however it would still be a go-to piece for special indoor events in the summer as the AC always makes me freeze inside during the summer. Beyond the tops themselves though, I know that great customer service can make or break a shopping experience. Whether getting to shop her brick and mortar store in person in Wexford, Pennsylvania or shopping online, Judy Masucci, the owner of A Mother’s Boutique, is known for her fantastic customer service. Offering virtual fittings, you can send her your measurements and get bra fittings and size suggestions as well as specific articles that would work well for your body type. Patient and helpful, Judy aims to go above and beyond in helping her customers make great investments in garments that last, provide comfort, and flatter. Poor Judy has had to wait forever for this review, understandably impatient for me to share about the products she so carefully selects for her store. I spent some time the other day browsing her shop and encourage you to check it out. She has some fantastic sale prices right now and is celebrating her birthday and sharing Cake! Be sure to visit A Mother’s Boutique’s FB page and take advantage of the celebration. You can get there by clicking the button on the right and take advantage of the discount for Leakies while you shop.